I have managed to make it through a week of going somewhere or trying something new every day. So I guess it is only fitting on the 7th day, I return to one of my favorite places in Southern California and face something that has terrified me for years, The Hollywood Tower of Terror ride at Disney California Adventure. My friends and I have annual passes to the Disneyland resort so we go there together once a month. We usually stick to the safer rides, like The Haunted Mansion, Pirates of the Caribbean, Ariel’s Undersea Adventure and now Radiator Springs Racers in Carsland. Occasionally we will go on the more daring roller coaster rides (though some in the group refuse to go on those rides and will wait for those of us who are thrill seekers) like Space Mountain, California’s Screamin’, Goofy’s Flight School, Indiana Jones and Matterhorn. 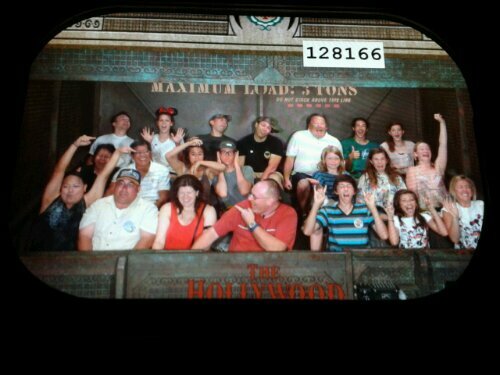 But in all the years of visiting DLR, we never even thought about attempting the Hollywood Tower of Terror. 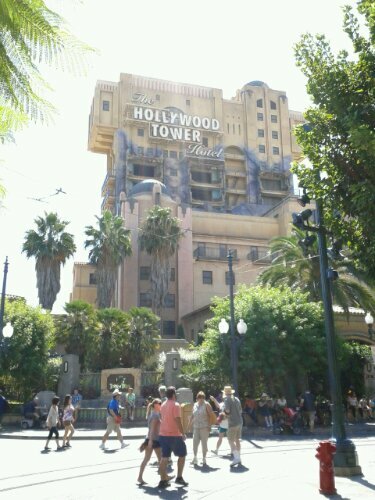 But while on this quest to try new things and overcome my fears, I requested Hollywood Tower of Terror. The majority of the group decided to wait out the ride while myself and three of my male companions decided we would step into the Twilight Zone’s Tower of Terror. As a person who is afraid of heights and even more afraid of falling, this was a heart pounding experiment, especially when my friends who were sitting out the ride talked about how much they hated the ride and that “plunging” feeling. But being the only female with a group of guys, I tried to laugh off my fears. I joked with the elevator operator and one of my guy friends about how the warning signs show two people buckled in their seat holding hands. I asked if that was mandatory so playing along, my friend said he would hold my hand. I don’t think he was quite prepared for the death grip that I had on his hand for the entire ride. And to give you a sense of exactly how I was feeling during this elevator plunge of a ride (up and down 13 stories), just take a look at our picture. Ironically, we were sitting in row 6 (The front row to the left–I’m in the red tank top and only female on that side). Even though the ride was nerve-wracking and a heart-pounding thrill ride to face my fears, I would do it again. I just have to make sure that I eat after the ride and not before the ride. Yeah, I liked the rush you get when it is over. Right now, they are redoing Indiana and when they are done with that, they are going to revamp Thunder Mountain. It will be interesting to see what they are going to do to the rides. Oooh… hope they finish before we visit again — in October 2013!